Location: /Accessories/Banjo/Banjo Bridges/THE IMPERIAL BANJO BRIDGE FOR STEEL STRINGS. 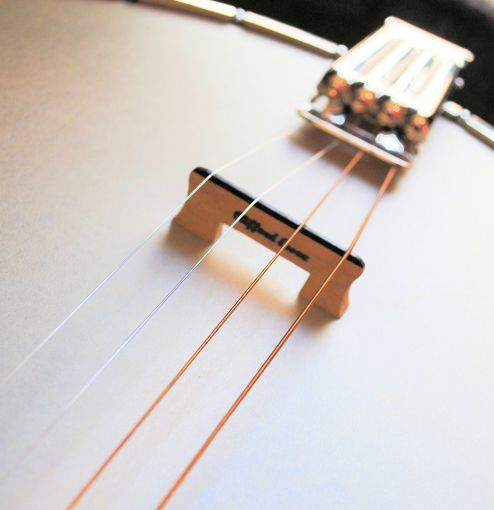 Available in heights of 1/2" or 5/8"
Buying an off the shelf bridge for a steel strung banjo can be an absolute nightmare. By definition if you play on steel strings you want a nice clean crisp ring. Factory made bridges with two and three feet are far too thick and need a great deal of work done to them before you can obtain even a half decent tone. Some players spend hours sanding their bridge in order to get rid of all the unnecessary wood which only damps the banjo’s true tone. Even when sanded down you are often left with unseasoned maple containing undetectable moisture which again ruins the tone. No matter how good your instrument may be, without the right bridge you are fighting a losing battle. 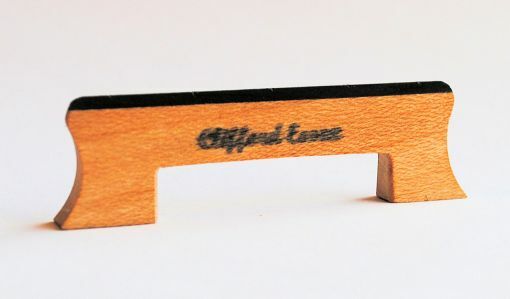 The Clifford Essex Imperial Banjo Bridge has been designed, tried and tested by professionals. Note the slim ebony top and the sparing use of seasoned maple which makes up the bulk of the bridge. This bridge is guaranteed to make your banjo ring like you have never heard it ring before. Other banjo bridges: Click Here. 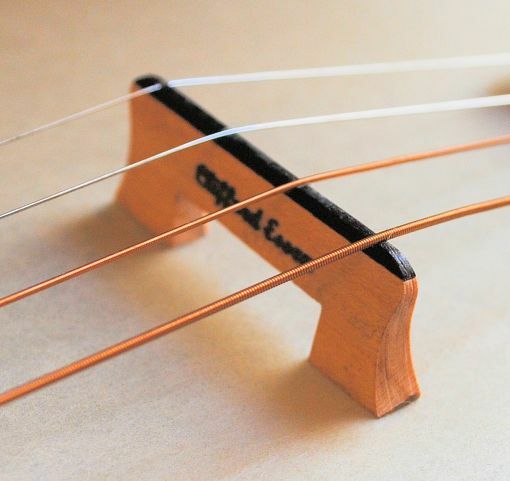 CLIFFORD ESSEX IMPERIAL BANJO BRIDGE FOR STEEL STRINGS. I liked the bridge and ordered another one to try on a different banjo. Well made product and suited the banjo I fitted it to. An easy transaction with fast service. I would recommend the bridge and the company. CLASSICAL BANJO STRINGS. HEAVY GAUGE. TIE-ON. 26 - 34.